Alioramus, a mid-sized tyrannosaur from the Late Cretaceous (72-66 MYA) of Mongolia, is yet another dinosaur grounded in mystery due to scant remains. However, even though this is the case, many details about the animal can be extrapolated from the few remains that have been uncovered. ​ A Soviet-Mongolian expedition to the Gobi Desert of Mongolia in the early 1970s uncovered the remains of Alioramus, but it was not until 1976 that soviet paleontologist, Sergei Kurzanov, identified the remains. 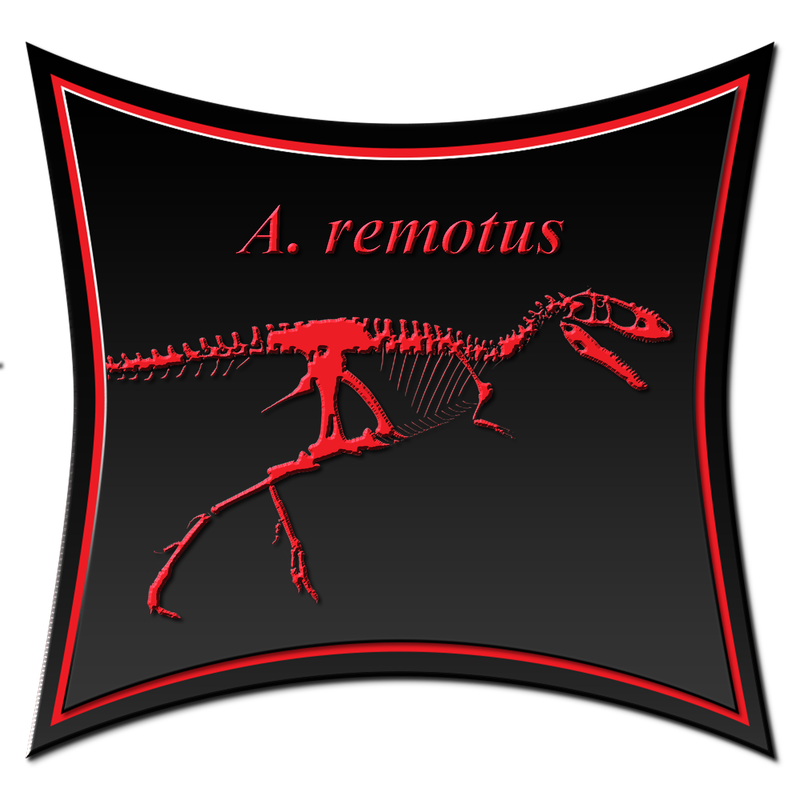 Kurzanov found the animal to be a tyrannosaur and named it Alioramus remotus, which translates to “Removed other branch”. Kurzanov named his find after the fact the animal contained characteristics of no other animal of the family it belonged to. Kurzanov placed the animal in the general superfamily Tyrannosauroidea. Alioramus remained a very partial species with only fragmentary skull material found, until another much more complete find was discovered in 2001 by Julia Clarke on another expedition to Mongolia with the American Museum of Natural History and Mongolian Academy of Sciences. This new species was named A. Altai, in homage to the Altai Mountains of Mongolia in 2009. This new find consisted of a nearly complete skull (missing just a few minor bones), a complete neck, large segments of the back, sacrum, tail, a nearly complete pelvis, and most of the hind limbs. Although still rather fragmentary, the animal can now be rather accurately reconstructed with a proper body. ​ What is known of Alioramus is scant, but rather interesting. Alioramus is known only from juvenile specimens, and as such, the adult size cannot be fully determined. However, the juvenile specimens uncovered suggest a length of approximately 15-19ft; juvenile Alioramus may have stood as tall as an adult human. The most distinguishing feature of Alioramus was its skull. The animal had a very gracile skull much more elongate than the majority of other known Tyrannosaurs (minus Nanotyrannus), not only this, but the skull sported a series of about 5-6 small hornlets that ran along the snout and jutted upwards about 1-2 inches. 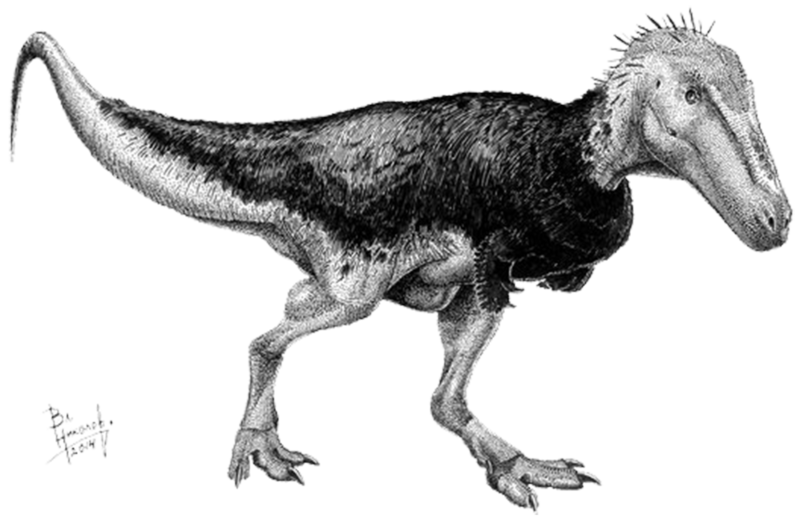 Since the remains only represent juvenile specimens, scientists hypothesized that Alioramus might be the juvenile of the larger tyrannosaur; Tarbosaurus. However, juvenile specimens identified as the genus Tarbosaurus showed differing characteristics to Alioramus, which suggests the animal was a different genus altogether. Slender features and legs like that of an Ornithomimosaur, meant that Alioramus would have preyed upon smaller animals in comparison to the much larger and more robust Tarbosaurus. ​ Speaking of phylogeny, Alioramus is placed under its own subfamily, Alioramini, which lies inside the family Tyrannosaurinae. Tyrannosaurinae consists of the later tyrannosaurs that shared the characteristics of atrophied arms, large skulls, and slender legs. Alioramini’s only other member is the recently discovered Qianzhousaurus. Alioramus is related to the other, more well known, tyrannosaurs like; Albertosaurus, Daspletosaurus, Tarbosaurus, and Tyrannosaurus. The 2001 Alioramus finds found that, although the animal had a thin snout usually characteristic of more basal (primitive) forms, it was more related to the large robust forms seen living in close historical proximity to it; I.E. Tyrannosaurus. ​ Mongolia, the region in which Alioramus called home, is residence to a vast array of other animals that we know a lot about due to over 30 years of research and discovery in the region. Tarbosaurus, Deinocheirus, Gallimimus, Therizinosaurus, Homalocephale, and Nemegtosaurus all shared the ecosystem with Alioramus.